Open the doors of your car or truck with the touch of a button using Mr.Gasket’s electric door kit. Featuring a high strength, 11lb pull solenoid, this kit can be used to eliminate door handles, replacing them with push buttons that can be mounted virtually anywhere on the vehicle. The high strength, low amp draw, 12 volt negative ground solenoid has an integral 12” long cable that has .550” of travel. 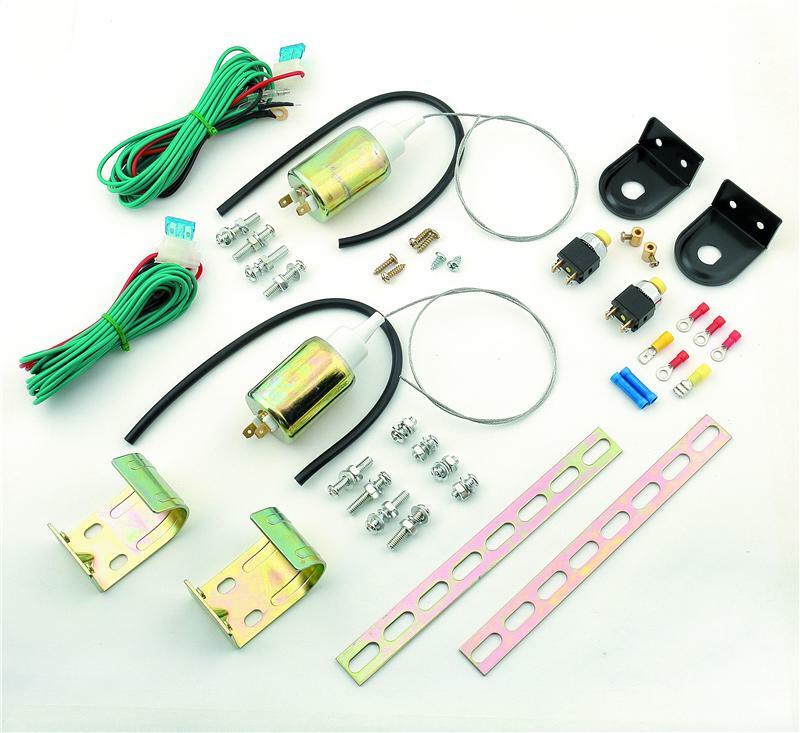 Kit includes all necessary parts to convert two doors, including 2 high strength solenoids, 4 push button switches for both inside and outside locations, wire and mounting hardware, plus easy to follow step-by-step instructions.